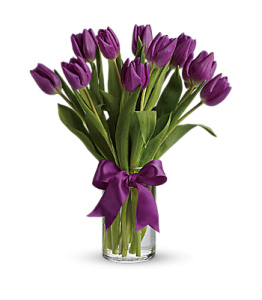 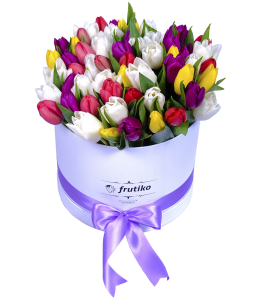 Bouquet of Purple tulips We are happy to introduce completely new menu of flowers: hand-knott.. 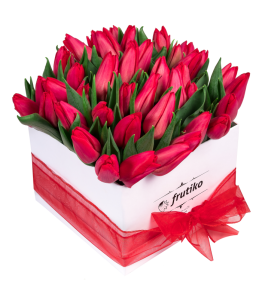 Luxury white oval box of red tulips Tulip, Netherlands national flower and symbol of sp..
White oval box of roses- MIX Lovers of roses brighten. 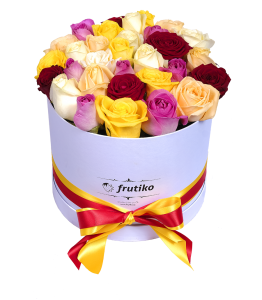 Colorful roses look best tied together.. 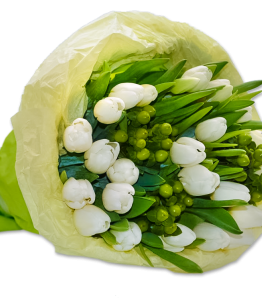 Luxury white box of red tulips Tulip, Netherlands national flower and symbol of spring .. 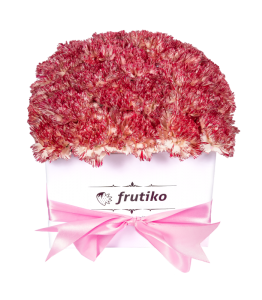 Luxury white box of pink carnations The color combination of carnations with playful op.. 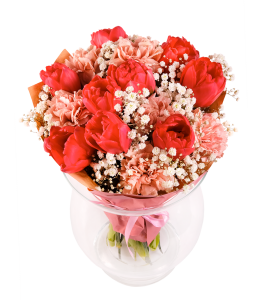 Luxury white box of multi color carnations The multi color combination of carnations wi..
Muffins for Dad Does your dad like sweet? 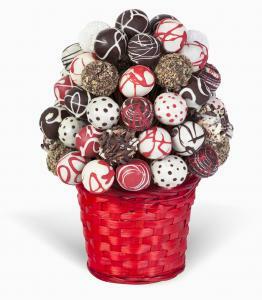 Order an original gift for Father's Day, birthday o..
Popcake bouquet What is pop cakes and how to make them? 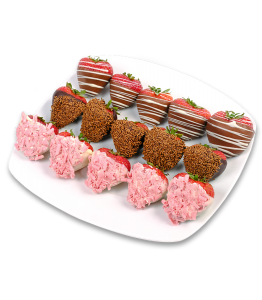 Cake pops or so called cake lollipops..
Special gifts for special occasions and special people. 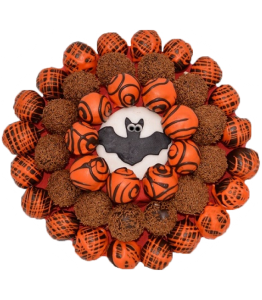 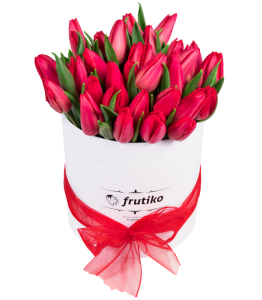 Order original fruit flowers as a beautiful and tasty decoration for your company party or use bouquets or boxes of fruit in chocolate as corporate gifts for your company partners and major customers. 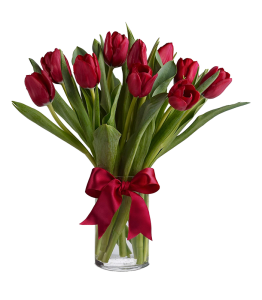 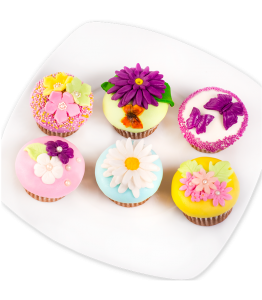 They are perfect for almost any special occasion. 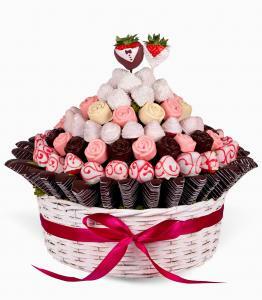 Fruit bouquets can be used as a wedding decoration or as a birthday present. 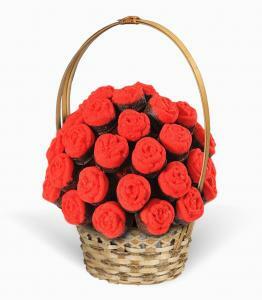 This gift is the best way to say "you are special to me". 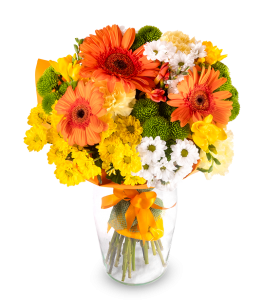 Fruit bouquets are also an exceptional gift for the 50th birthday and other exceptional life events such as graduation or a major job success. 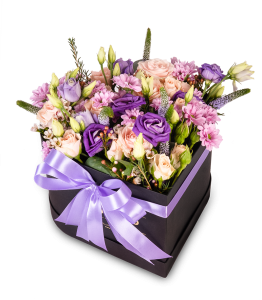 Special occasions occur several times a year and those are the moments in which we can show our love to special people in our life. 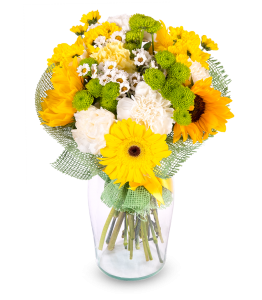 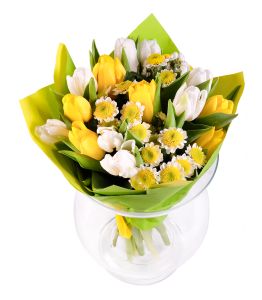 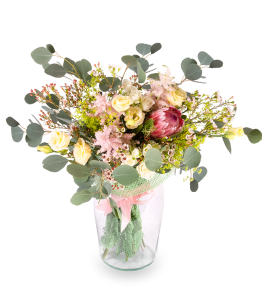 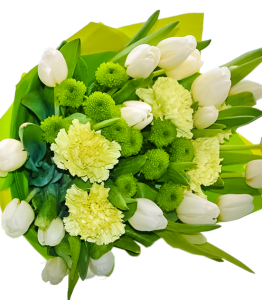 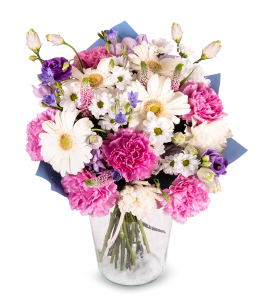 Whether you want to send these delicious flowers as a gift for 50th birthday, 5th anniversary or just as a special gift for friend to make him happy, you can be sure that a healthy gift will please everyone. 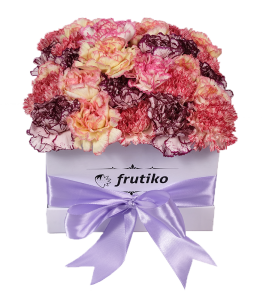 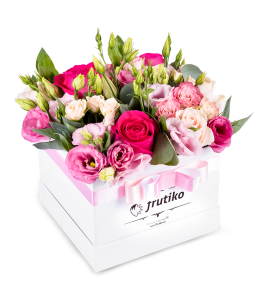 Special fruit bouquet and cake bouquet from Frutiko will brighten any social event or a private exceptional event.